Аудио система - тип:Headset Направление:PC Multimedia Технология на свързване:Wired Слушалки - Тип:On-Ear Headphones Слушалки - Форм фактор:Full Size Headphones Acoustic Design:Closed Headphones Moun..
CNS-SBTHS1B Wireless Bluetooth Sporty Earphones Enjoy sports and listen to your favourite tunes or podcasts. These Sporty Earphones provide powerful dynamic sound by setting up a long-lasting stab..
CNS-SBTHS1BL Wireless Bluetooth Sporty Earphones Enjoy sports and listen to your favourite tunes or podcasts. These Sporty Earphones provide powerful dynamic sound by setting up a long-lasting sta..
CNS-SBTHS1L Wireless Bluetooth Sporty Earphones Enjoy sports and listen to your favourite tunes or podcasts. 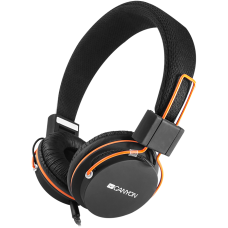 These Sporty Earphones provide powerful dynamic sound by setting up a long-lasting stab..
CNS-CHSC1BY Canyon entry price PC headset (black-yellow) Listen to music, play games and communicate for hours with this comfortable lightweight headset from Canyon. 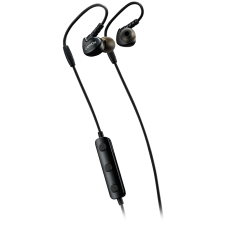 Thanks to the combined 3,5 '' ..
Canyon entry-level show off earphones, green The easiest way to take emotions with you! Choose any of the three trendy colors and make your new earphone become your favorite companion. It is no..
Canyon entry-level show off earphones, purple The easiest way to take emotions with you! Choose any of the three trendy colors and make your new earphone become your favorite companion. It is n..
CNE-CHP2 Canyon headphones (black) Simple headphones with great sound quality. Detachable cable with gold-plated connectors is compatible with most audio devices including iPhone, iPad, iPod. You al..
Easy Communication Headset This classic black headset is a decent gadget for your daily communications at work. Its soft ear cushions and adjustable headband will provide comfortable feeling even d.. 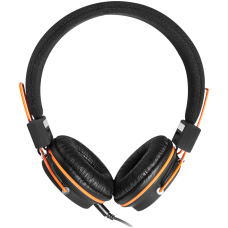 Stylish And Comfy Headset This headset made in a trendy black-orange design is a decent PC gadget to equip your workplace. It has soft ear cushions and adjustable headband that provide comfort to y..
CNE-CHSU1B Canyon simple USB headset (black) Simple USB headset in classical black and white colors for a very attractive price. 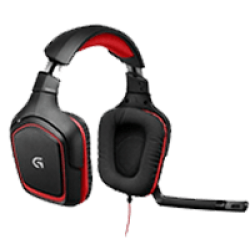 The most universal plug type makes this headset compatible with all..